The Hoya HMC UV(C) filter is fully coated surfaces increase light transmission and absorb almost all range of UV rays to give clearer and sharper pictures with less haze. The use of ultra clear glass ensures that color balance is maintained. Constant use for lens protection is recommened. The UV-Haze filter is helpful when photographing mountain and marine scenes, where increased haze threatens to make your photographs indistinct in color and clarity. Absorbs the ultraviolet rays which often makes outdoor photographs hazy and indistinct. A multi-purpose fine-weather filter for color as well as black and white films. Also serves as a permanent lens protector. Absorbs the ultraviolet rays which often makes outdoor photographs hazy and indistinct. A multi-purpose fine-weather filter for color as well as black and white films. Also serves as a permanent lens protector. 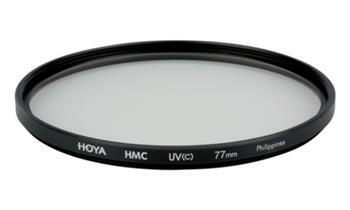 Haze (UV) filters are wise initial investments. They help protect your valuable investment from dust, moisture and scratches, which can lead to costly repairs. If desired they can be left on the lens at all times for protection. 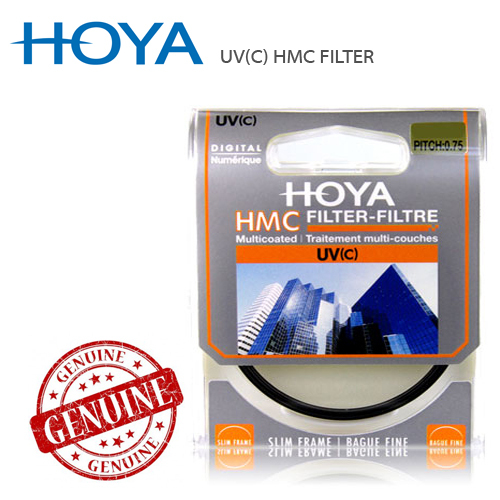 Haze filters provide additional benefits of correction for Ultraviolet (UV) light which can register on film and videotape as a bluish cast and can obscure distant details. Ultraviolet filters allow you to correct for the UV effect to varying degrees. Multicoated to minimize reflection at the filter surfaces which reduces flare and ghosting.